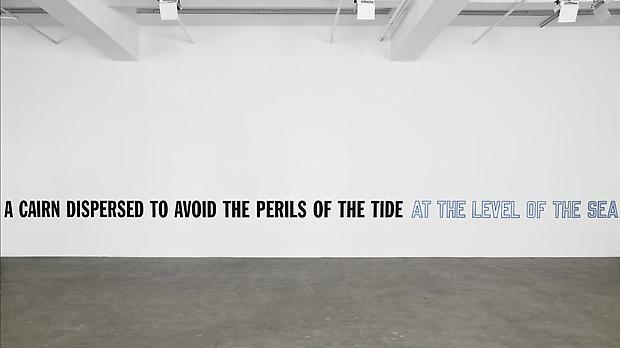 Marian Goodman Gallery is pleased to announce an exhibition by Lawrence Weiner which will open to the public on Thursday, January 15th and will be on view thru Saturday, February 21st, 2009. 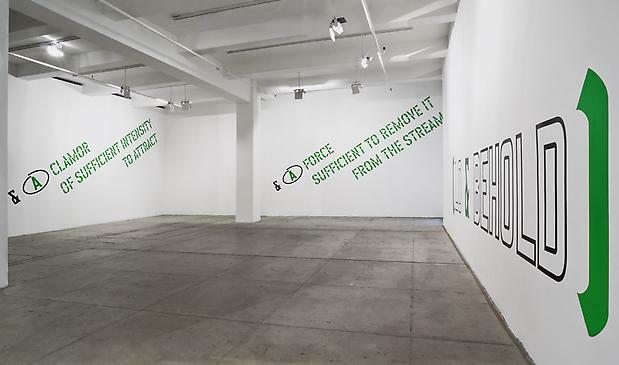 This will be his first solo show in New York since his highly acclaimed retrospective AS FAR AS THE EYE CAN SEE at The Whitney Museum, New York, MoCA, Los Angeles, and K21, Düsseldorf. 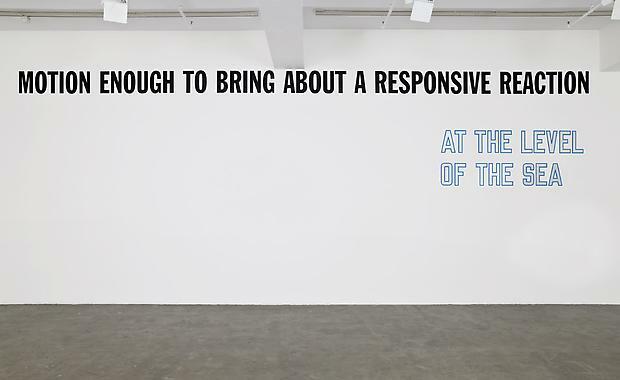 The exhibition will present recent sculpture in both the North and South Galleries. 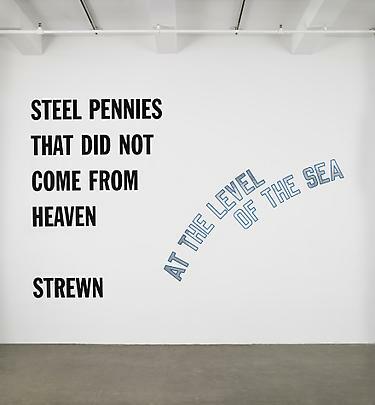 On view in the North Gallery will be AT THE LEVEL OF THE SEA. 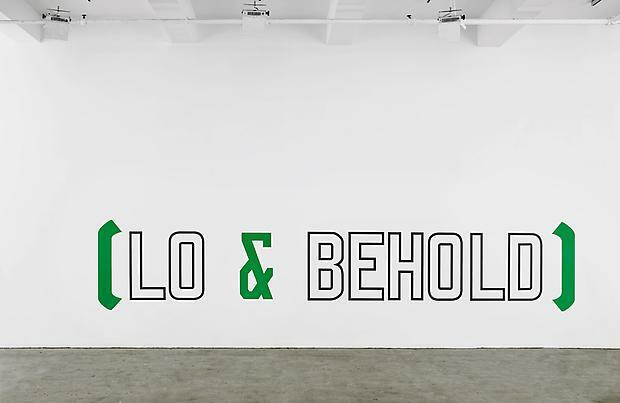 In the South Gallery (LO & BEHOLD) will be on view. 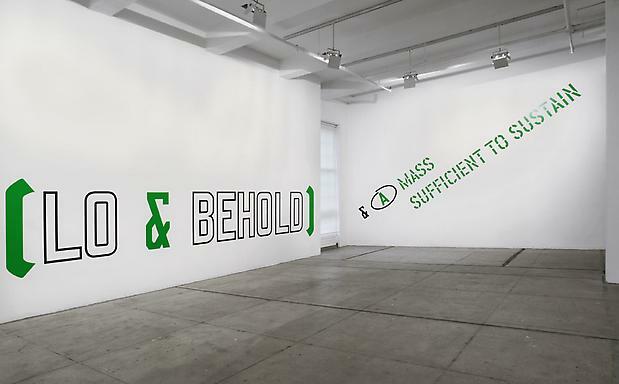 This work was originally exhibited at the Wolfsonian Museum, Miami in 2006, and will be presented in New York for the first time. 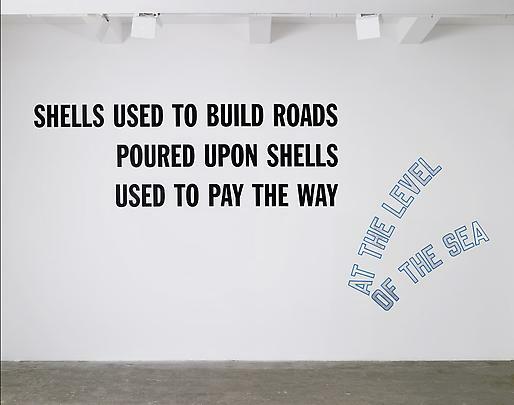 The abiding concern in Lawrence Weiner's art is with the relationship of human beings to objects, and objects to objects in relation to human beings, within the realm of the use of universal and communal materials. 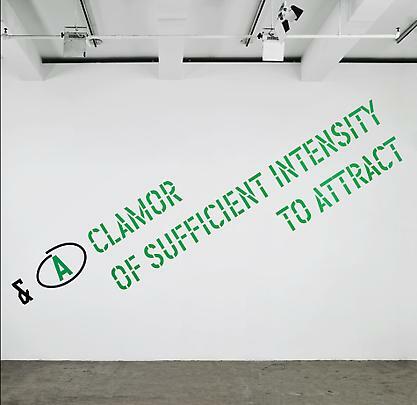 From early action works to Propeller and Removal paintings of the 1960s, and from sculptural practice developed within the context of Minimal Art to language-based pieces which, since 1968, have been essential to his exploration of the infinite possibilities of expression, Weiner has produced works in a dynamic breadth of formats for over forty years. 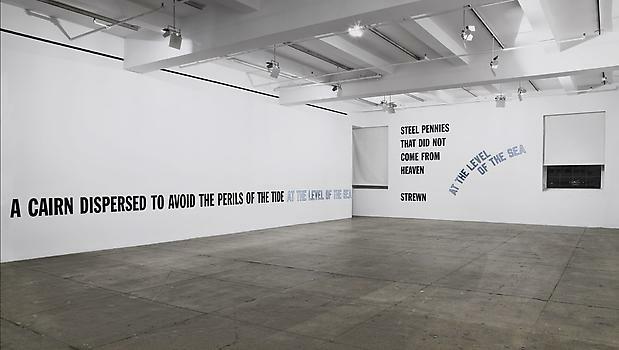 Sculpture using language has made possible Weiner's commitment to making his work accessible and available to the public in many diverse forms. 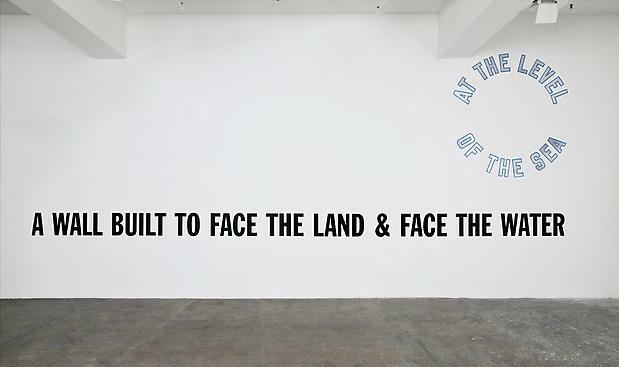 His work has been presented on building facades, municipal venues, streets, public commissions, site-specific installations, works on paper, multiples, editions, books, as well as film, video, records, cds, dvds, and posters. 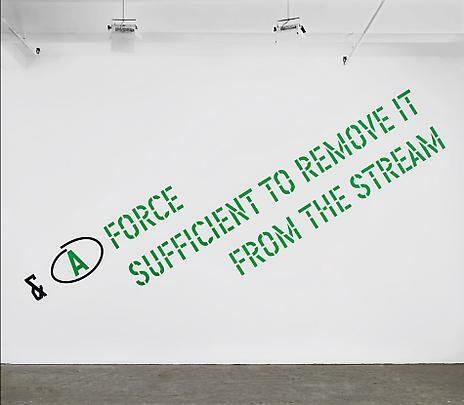 In its democracy and accessibility it has been an essential reference for a generation of younger artists. 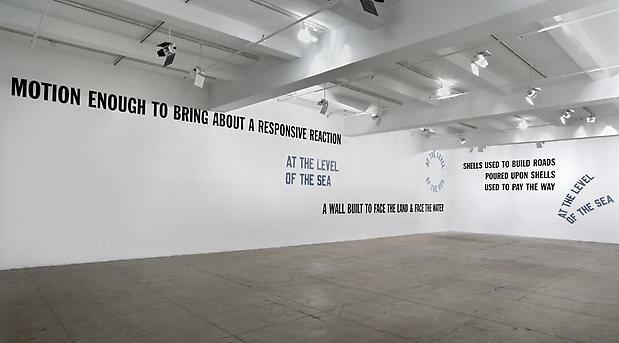 Over the years, the reach of the work has been assessed and celebrated in numerous solo and group exhibitions in the U.S. and Europe, culminating most recently in the comprehensive American retrospective, AS FAR AS THE EYE CAN SEE, which was shown at The Whitney Museum, New York and at MoCA, Los Angeles, and is just concluding its tour at K21 Kunstsammlung Nordrhein-Westfalen, Düsseldorf this January, 2009. 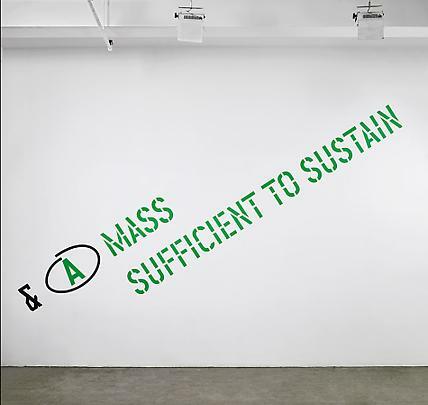 A one man show of his work is scheduled to open at The Power Plant, Toronto, Canada, in March 2009.